My plane landed at the Tyler, Texas, airport at 5:45 pm yesterday. Assistant Pastor Bob Queen picked me up at the airport and drove about 50 minutes to take me home. He has been such a blessing since my retirement in March of 09. I appreciate him! I arrived home at 7 pm, unpacked, fixed something for the Mrs. to eat, did the dishes, and then the laundry. A husband’s work is never done! Ha! I put my suits and shirts in a laundry bag and dropped them off at the over night drop box. By the time I finished everything it was after 11. I was exhausted! How do you women do it? I was up at 8 this morning. For some strange reason I shut the alarm off and to tell you the truth I don’t remember doing it? My wife one time told our family doctor that she thought she had Alzheimers because she loses her car keys. The doctor said, “Oh, no! It is when you don’t know if you have a car or not!” That’s funny! I had my quiet time, fixed breakfast for the Mrs., and walked 8 miles. 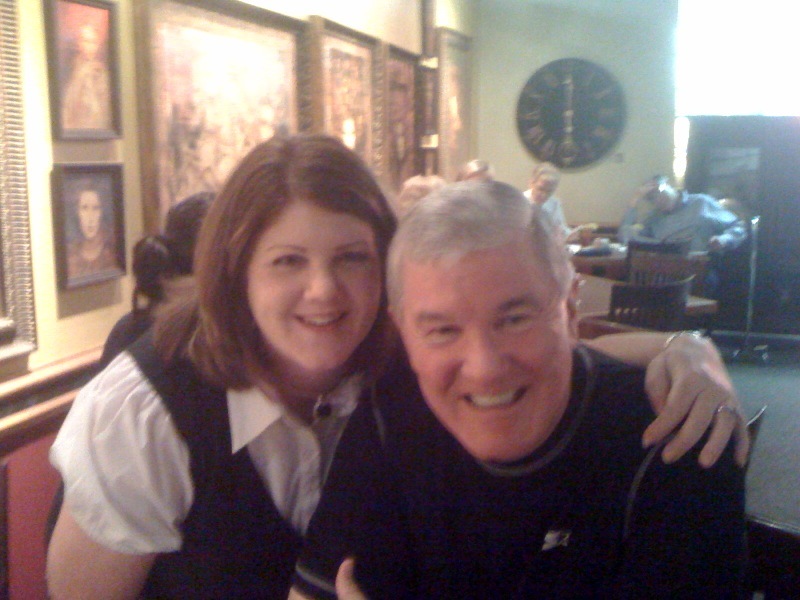 I showered and then went to lunch with one of my daughters Karen Forgy. She works for me part time and is a great help with my books. Karen is married to Tim Forgy. Tim is a graduate of TEXAS BAPTIST COLLEGE along with Karen. Tim is the Youth Pastor for LONGVIEW BAPTIST TEMPLE. They have two children Nick and Aly and I am extremely proud of them. You will not believe this but Karen actually paid for lunch! Wow! Only a hundred thousand dollars more to go to get all my money back! Ha! After lunch I went to Luby’s Cafeteria to pick up lunch for Mrs. Gray. I am at home and working on new chapters for my new book on HEAVEN. Please go to www.solvechurchproblems.com to order the books that are available. I have several other new books coming off the presses in the near future. THE DOCTRINES OF SALVATION, SUFFERING?, THE PERSONAL SOUL WINNERS’ MANUEL, and SUFFERING FRUITFULLY. Gotta love serving the Lord!